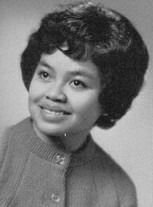 Virginia E. Licudan Ortez was born on July 14, 1946 and left us on March 1, 2010. She was a classmate. Virginia was a special high school friend. She was part of the Adele, Kathy, Beverly, Sandra, Peggy and Judy friend and luch group. We lost touch over the years but she found me by voice when I was visiting Yakima and one ailse over in a drug store. She was a classmate and she will be missed. Virginia was one of the few people I have known that never said bad things about others. She was always cheerful and wore a winning smile. She loved nursing and was good at it. I do miss her. Thank you for your friendship.